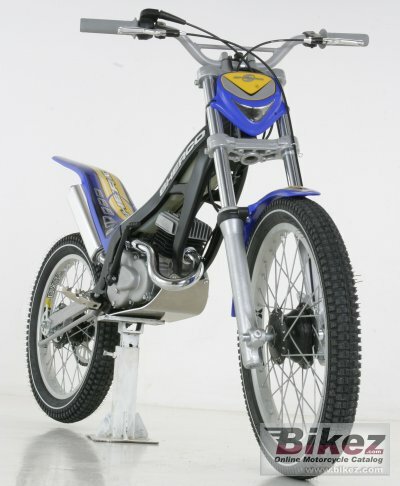 2006 Sherco 0.5. Picture credits - Sherco. Submit more pictures. The 2005 Sherco 0.5 is still the perfect choice for youngsters who are just learning to ride. Sherco�s smallest trials bike is packed full of big features yet it is designed for little hands, arms and legs. Seat height: 510 mm (20.1 inches) If adjustable, lowest setting. Comments: Intended for kids. Polini engine. Ask questions Join the 06 Sherco 0.5 discussion group or the general Sherco discussion group. Get a list of related motorbikes before you buy this Sherco. Inspect technical data. Look at photos. Read the riders' comments at the bike's discussion group. And check out the moped's reliability, repair costs, etc. Show any 2006 Sherco 0.5 for sale on our Bikez.biz Motorcycle Classifieds. You can also sign up for e-mail notification when such mopeds are advertised in the future. And advertise your old MC for sale. Our efficient ads are free. You are also welcome to read and submit motorcycle reviews.